We at Soundproof Studios love meeting and interacting with the sound professionals that rely on our products to deliver outstanding work to their clients. You might not guess it, but a wide variety of careers depend on high-quality soundproof studio design. In this article we discuss some of the careers available in recording studios and why these professionals benefit from outstanding soundproof studio design. Besides Musicians and Producers, Who Works in Soundproof Studios? According to sokanu.com, an informational career exploration site, quite a few different sound specialization careers available in recording studios. Here are just a few. A studio engineer works closely with producers in a studio. Sometimes studio engineers double as the producer and work independently. An assistant engineer usually works in a studio setting as well. They are often apprentices to studio engineers who own or work in large facilities. A recording engineer is someone who focuses specifically on the aspect of recording sound. A mix engineer focuses on mixing together different tracks to mesh and create a new track. The following quotes were transcribed from a video in which a real-life audio engineer, Kelly Kramarik, discusses what it takes to excel in her field. Pay special attention to the value of delivering high-quality sound recording during a band’s first album. As you can see from the quotes above, audio engineers that work in studios need knowledge, talent and the ability to create an exceptional sound experience for clients beginning with the very first recording session. Because many audio engineers work as freelancers, it’s critical that they deliver outstanding results quickly. If they don’t, musicians and producers can easily take their business elsewhere. Besides knowledge and talent, a sometimes-overlooked aspect to sound recording is the room in which the recording takes place. Soundproof windows and soundproof doors are soundproofing products that go a long way in allowing sound professionals to shine and deliver a great first impression. Soundproofing a studio needn’t be a long-term, laborious task. Our installation team is the best in the country. Our products are highly effective at stopping unwanted sound, and they are also custom-designed for every client. 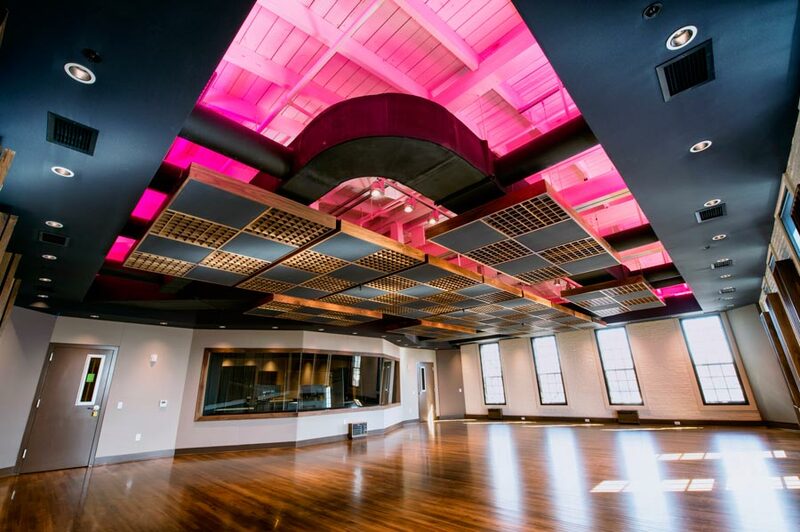 This customization allows designers to really hone the acoustics and aesthetics of a studio. Audio engineers make careful preparations to keep the right sounds inside a recording studio and the wrong sounds out of it. Our products at Soundproof Studios do just that. Call Soundproof Studios at 877-438-7843 to request your free estimate!